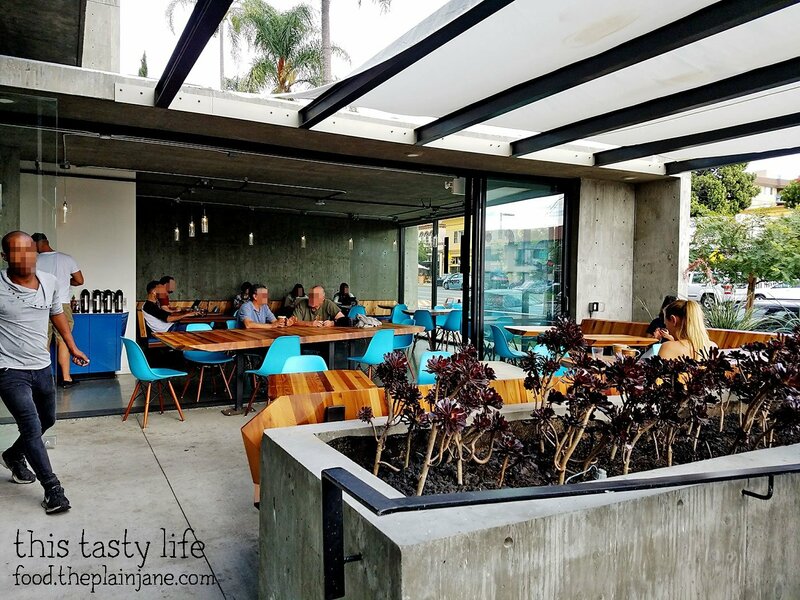 Recently Jake and I went out for a little breakfast – just the two of us! 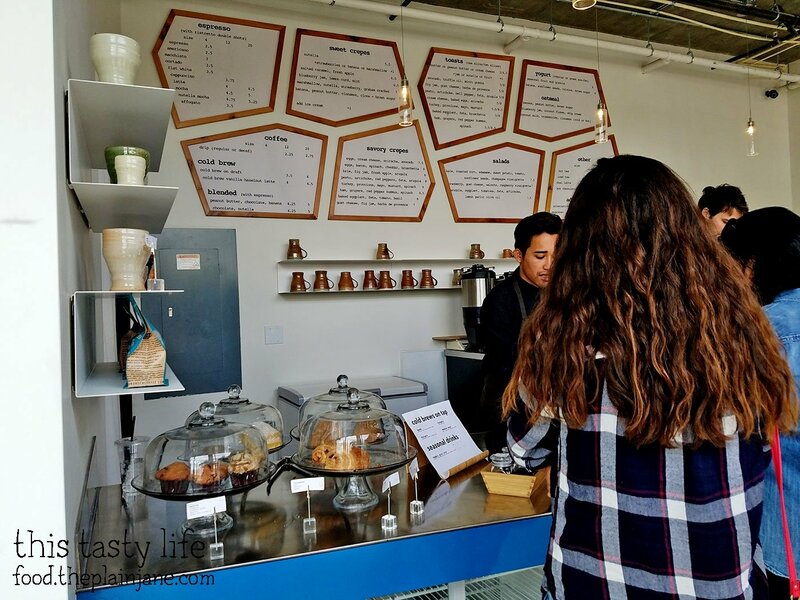 Originally I wanted to go to Great Maple but the line was crazy long outside. 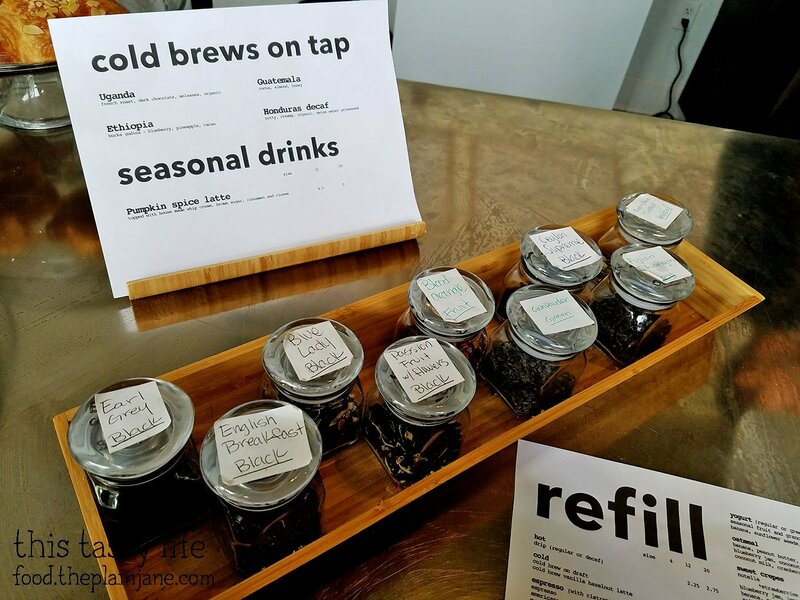 Instead we went to my backup plan place that was not too far away – a little place called Refill. 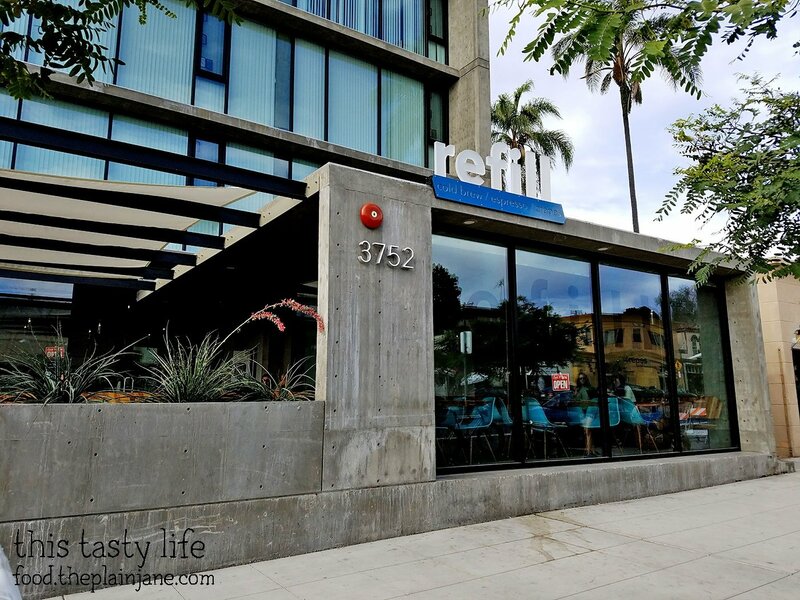 Refill is over in Hillcrest. 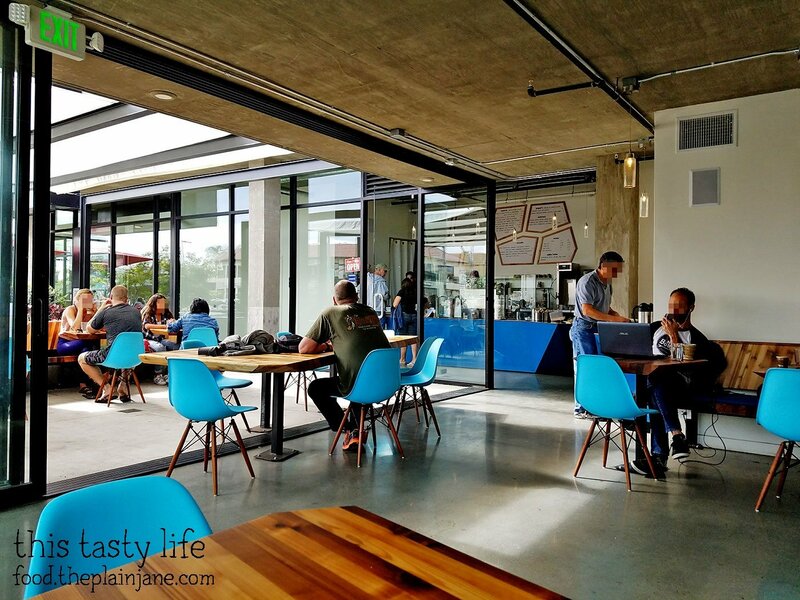 They’ve got a cool indoor outdoor patio thing going on. All of the seats on the patio were taken so Jake and I sat indoors. 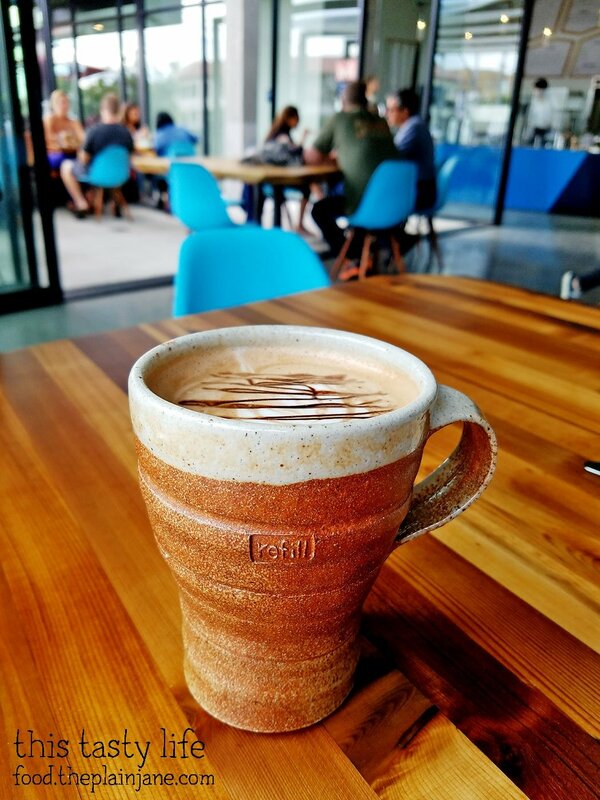 I started off with a Nutella Mocha [$4.75] that morning. This had a really nice blend of flavor to it. It wasn’t too sweet nor too bitter. The nutella settled at the bottom of the cup so it needed a little stir. I only drank about half of it that morning and took the rest in a to go cup. I really liked their mugs here! Jake and I each got a slice of fancy toast. 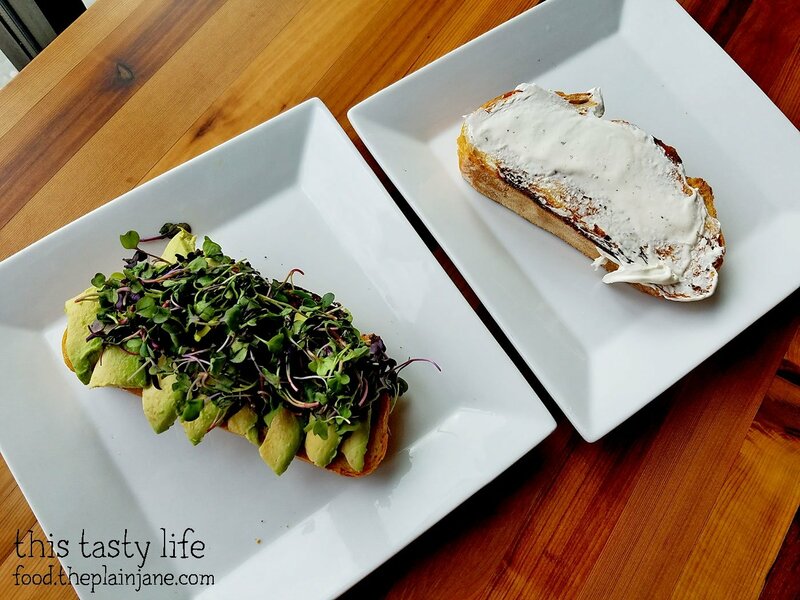 I got the Avocado Toast [$5] while Jake opted for some Cream Cheese Toast [$3]. 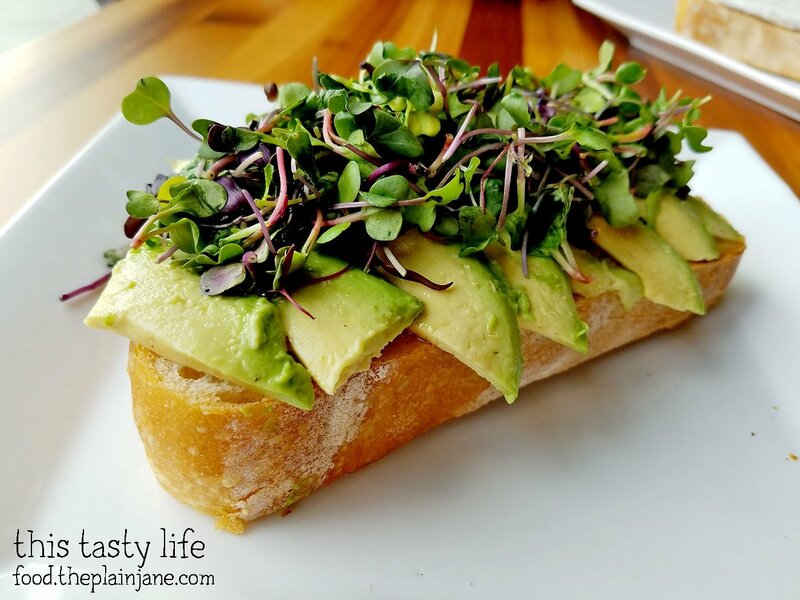 The toast came topped with avocado slices, truffle oil, and micro greens. The bread is a thick cut slice of sourdough bread. The bread it slice unevenly – one side was thicker than the other. My first few bites of this were not good. The bread wasn’t really toasted on the thicker side and so the bread was really chewy. To me, sourdough really needs to be toasted – untoasted sourdough doesn’t do it for me. Luckily the more I ate, the more toasted the bread was. I also noticed they did not season the avocado. Jake went and got some salt for me so I could properly salt it and it tasted so much better. In retrospect, I can do this better myself at home. 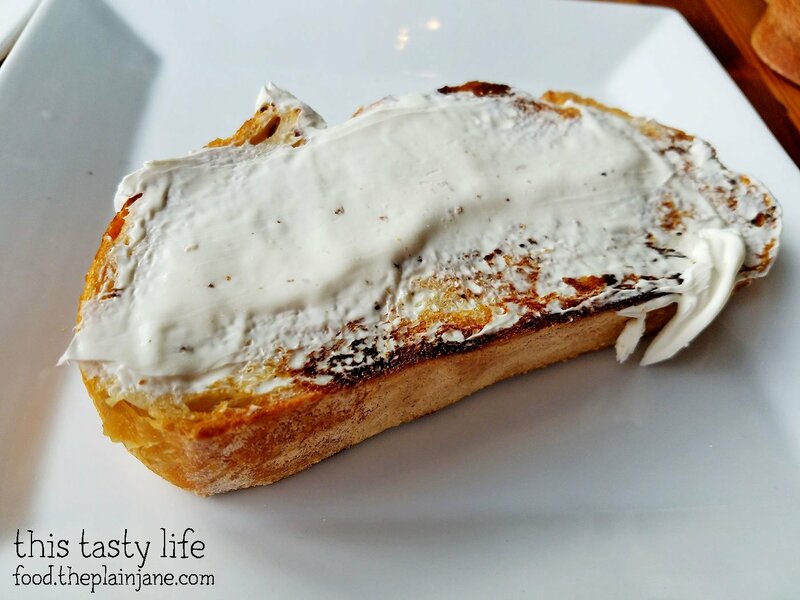 The cream cheese on Jake’s toast was quite creamy and delicious. It almost looked like butter to me since it was all melted on top. 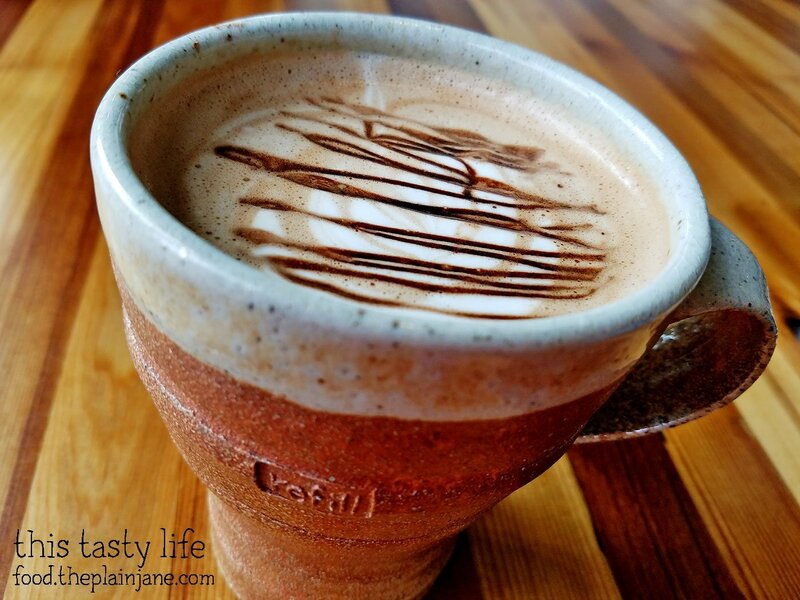 Again – something you can easily make at home instead. Jake opted to get a bowl of Banana, Peanut Butter + Brown Sugar Oatmeal [$6] for his main breakfast that morning. They use steel cut oats for the oatmeal. 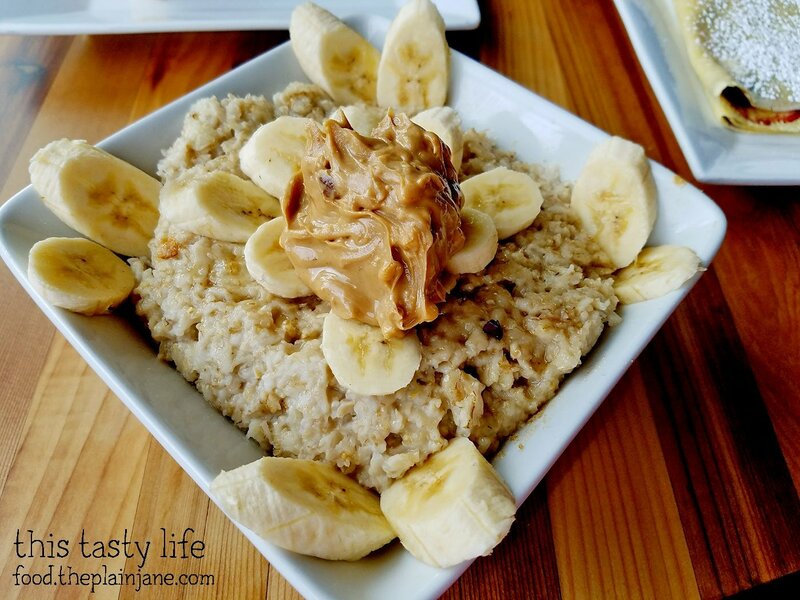 The crunchy peanut butter was a wonderful addition to the creamy oatmeal. Jake loved this and talked about it days later! I was so hungry that morning that I didn’t notice that I got the wrong crepe at first. This Blueberry Jam, Lemon Curd, and Mint Crepe [$6.5] arrived before me and I started digging in without even thinking about it. 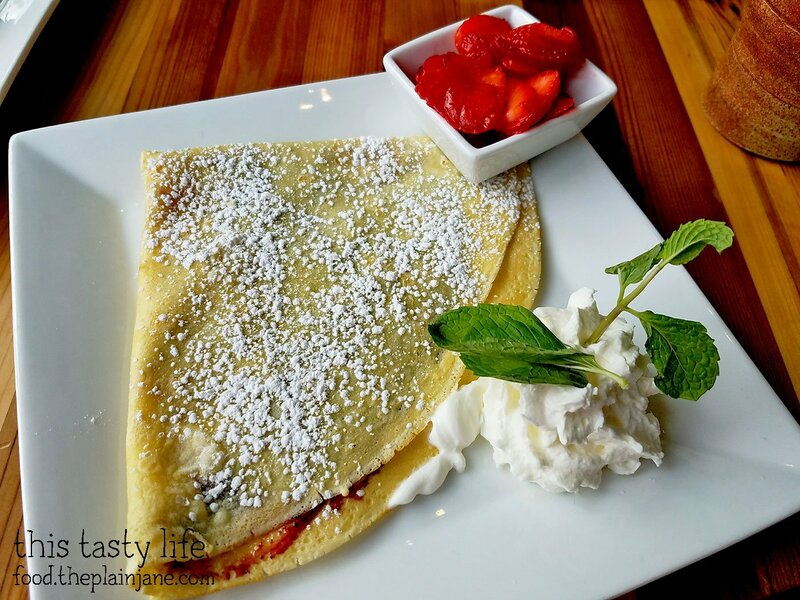 I loved the flavor of the jam and the sweet note of lemon mixed in with the thin crusted crepe. I ate about half of this before I realized that hey…. um… didn’t I order a savory crepe? 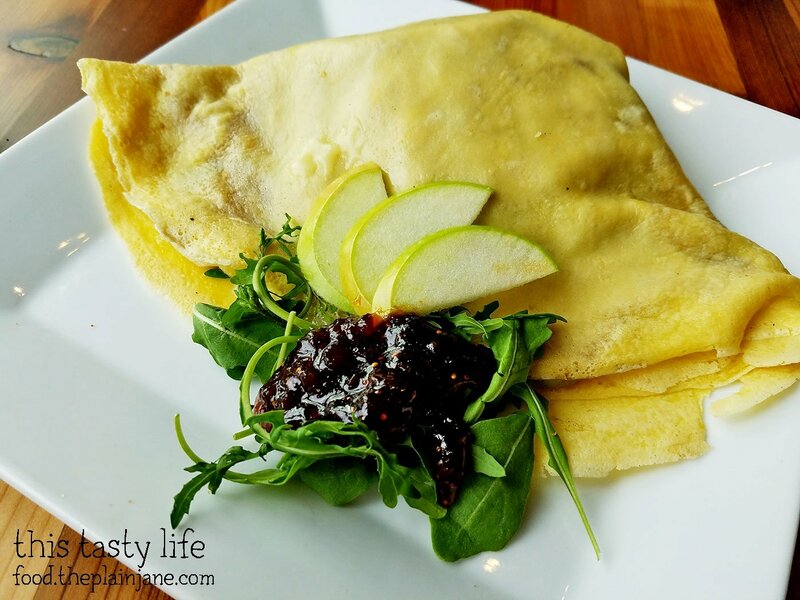 Jake brought the “wrong” crepe back up to the counter and within a couple of minutes I got the “right” crepe which was a Brie, Fig Jam, Apple + Arugula Crepe [$8]. This one had the brie I was looking for! But after eating the blueberry jam filled crepe, this one didn’t taste as good to me anymore. First of all, it had SO MUCH arugula. 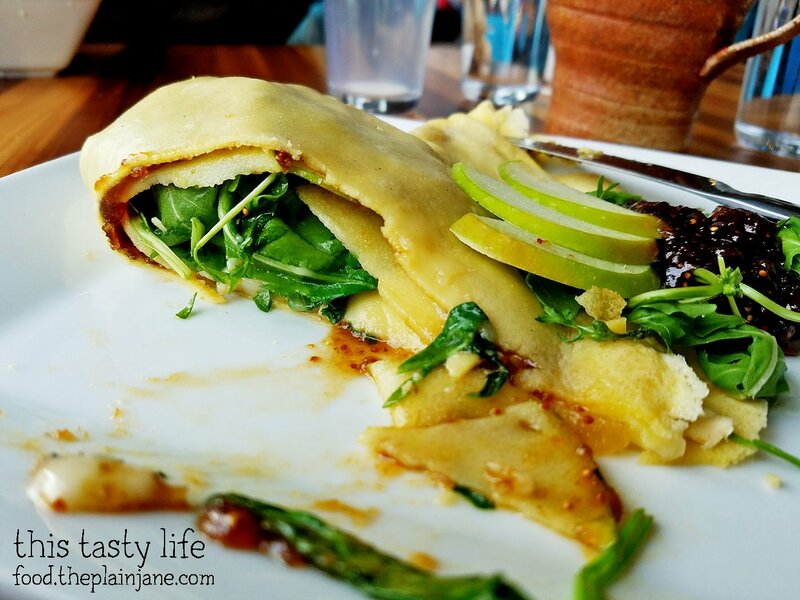 It felt more like an arugula crepe than anything else to me. I just didn’t dig the combination of flavors and liked the “wrong” crepe so much better than this one. I saved the rest of the crepe and gave it to T when we picked him up from work later and he devoured and loved it. At least it didn’t go to waste. Is this next to Trust? 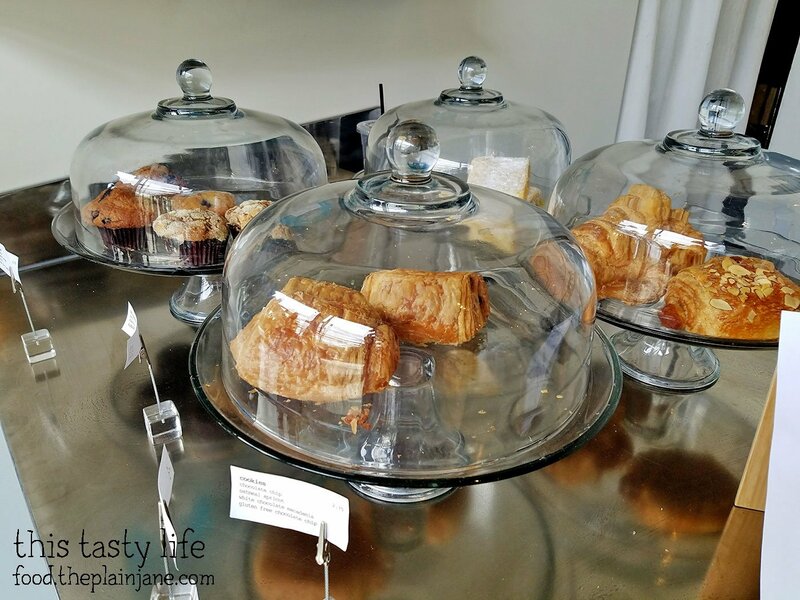 We went to Trust for brunch (their cinnamon roll is topped with ice cream!) and enjoyed it. I also noticed a TON of dogs coming in and out of the condos (?) in between. 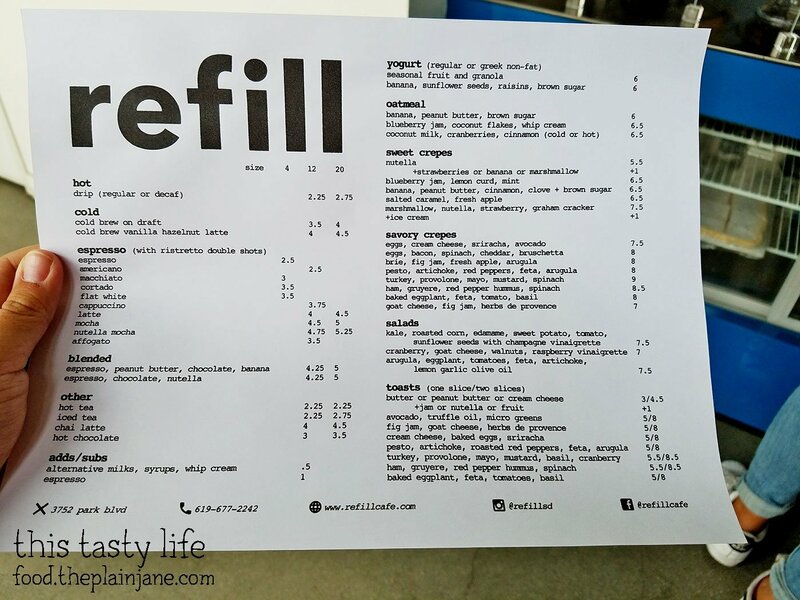 The oatmeal at Refill looks amazing, though – that with some coffee would make me pretty happy. Hi Leanne! Yes! It is right next door to Trust. Umm… I think I need a cinnamon roll with ice cream…. stat! I was doing a lot of dog watching while we had our breakfast at Refill! Hi CC! I ordered the savory crepe because I didn’t want a sweet breakfast but the blueberry crepe was so good! The lemon helped out by making it not too sweet. The arugula was totally overkill, ugh.